The Savers® family of stores is a for-profit, global thrift retailer offering great quality, gently used clothing, accessories and household goods. Its Rethink Reuse® business model of purchasing, reselling and recycling gives communities a smart way to shop and keeps more than 700 million pounds of used goods from landfills each year. Savers purchases donated goods from over 100 nonprofit organizations, providing them with a source of revenue to help support their vital community programs and services. Savers was seeking a new eSourcing software provider to assist its procurement analyst, Eryn Ayre, along with multiple category managers in the running of their purchasing projects. As a business, Savers run a considerable number of auctions, RFI’s and RFP’s. The desired tool would be all-encompassing, allowing Savers to run an end to end project in a single platform without the need to enter information numerous times within multiple programs. Savers’ existing eSourcing platform was expensive to run and lacked usability. Suppliers would regularly struggle to use the platform and this proved to be extremely time-consuming for Savers’ internal users when resolving supplier queries. A good working relationship was of paramount importance for Savers, who were looking for a software provider that had a wealth of scope for development and took a hands-on approach when it came to client customisation. Savers is a portfolio member of TPG Capital. TPG provide their associated businesses with a suggested supplier list when seeking new service providers. TPG had a number of suggestions for Savers, however, none of them seemed to have the desired approach that the business was looking for. Market Dojo came as an internal stakeholder recommendation to Savers and on review, it became clear that the solution was a great fit for the company’s needs. 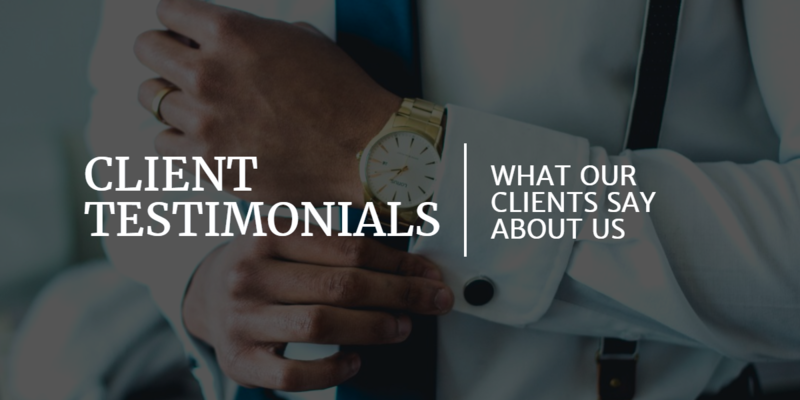 With the ease of use, transparent pricing and customer collaboration being at the forefront of everything they do, Market Dojo’s offering was exactly what the business was looking for. For Savers, Market Dojo’s differentiating factor was the ongoing support and service level provided. The team at Savers were looking for a tool that would develop and grow with their own needs, and a provider that was willing to collaborate with them in order to enhance the software to fit their requirements. Despite the seven-hour time difference between Savers in USA and Market Dojo in the UK, there have been no issues with regards to response time or the level of service provided. In fact Savers have found the staff at Market Dojo to be extremely willing to accommodate, making sure that all questions are answered and their needs are met. “We were aware that there was going to be a time difference issue. Your team are typically sleeping while we are working but I know when a question needs a quick answer it will come in overnight and I’ll have an answer in the morning. Market Dojo has lived up to its promise and delivered developments in order to accommodate Savers’ requests. There have been numerous examples but one of the most useful to Savers has been the introduction of table format questions within the RFP, to improve the ease of reviewing report outs. In order for Savers to achieve their complete end to end solution, Market Dojo introduced one of their long term business partners, Per Angusta. Per Angusta help to make up part of Market Dojo’s Enterprise solution, providing a project tracking pipeline and dashboard, allowing Savers’ staff to create, log, track and run events, and report a saving after completion, all in a single platform. Savers are currently in the early stages of exploring the capabilities of Market Dojo’s Supplier Onboarding tool, SIM Dojo. This will broaden the business’ ‘end to end’ solution even further and see the process from supplier acquisition through to purchase and savings reporting.